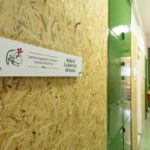 Clidante school is one of the best school in Rome if you want to learn Italian with Italian courses. 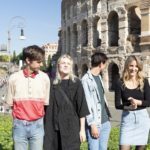 The best way to learn Italian is to choose an Italian course in Italy, so that you can dive into the culture of this country. 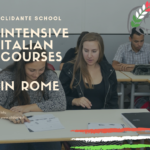 Clidante offers a wide range of Italian courses and you can join one of them, according to your preferences. You may choose, for example, group courses, during which you will learn Italian together with other 10-13 students. The limited class size has been chosen in order to guarantee the quality of teaching. If you have particular needs and you hope to learn Italian in a short time, you can opt for individual courses. In this case, you can schedule the lessons according to your commitments and you can have a qualified teacher only for you. 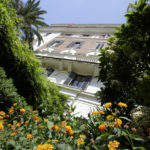 Clidante school in Rome also offers particular Italian courses, such as opera program, culture courses and cookery lessons. These are thought to be the perfect opportunity to learn Italian and to learn other skills and to enjoy at the same time. Some of these courses have the accommodation too, included in the price of the whole course. If you want to pass CILS exams, you can choose CILS exams preparation. This course is perfect to learn everything you need to pass the exams at the CILS centre in Siena. All the lessons are individual and you can join a course of 10, 20 or 30 hours. You can decide not only the number of hours, but also the level of the lessons (from A1 to C2). Clidante has an internship program too. It offers an eight-weeks program: one month of Italian language course and one month of work placement. Thanks to this course, the student will learn not only Italian language, but also what it means to live and work in Italy. In the wide range of courses, the student can also opt for online courses. In this case, the student will learn the language with Italian lessons via Skype. A lot of students choose this option when they cannot attend the lessons, but they want to improve their language skills. Clidante school has skilled teachers for online courses. 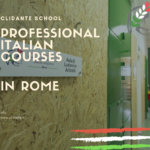 To join one of the courses of Clidante school, you can use the enrollment form on the official website. It needs only few minutes to join and to start learning Italian with Italian courses.